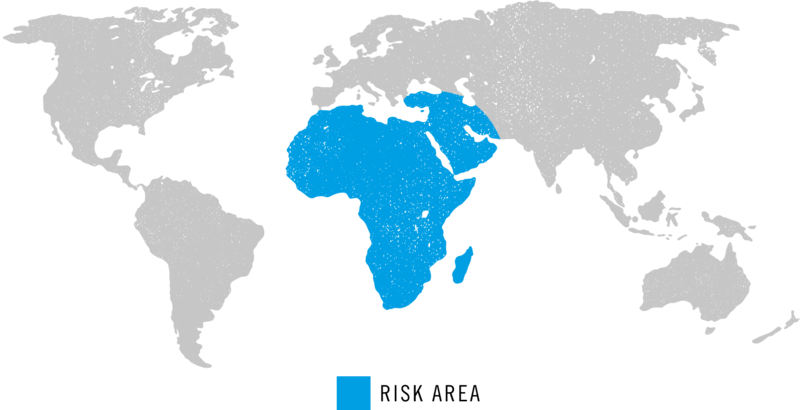 Sub-Saharan Africa has frequent epidemics of Meningitis particularly in the zone stretching from Senegal to Ethiopia during the dry season. Outbreaks have also been known during religious pilgrimages to Saudi Arabia. Meningitis is an inflammation of the surface of the brain. Transmission occurs from direct person-to-person contact and through inhaling infected droplets. A vaccine for strains A, C, W135 and Y are available and should be considered, especially for extended trips or if mixing very closely with the local population during risk season. A certificate of vaccination may be required if visiting Saudi Arabia. Please note only Meningitis C is given in schools. A single vaccine last 3 -5 years, this is dependent on Visa requirements.